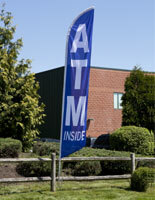 This advertising message flag is constructed of wind- and fade-resistant polyester in eye-catching orange. 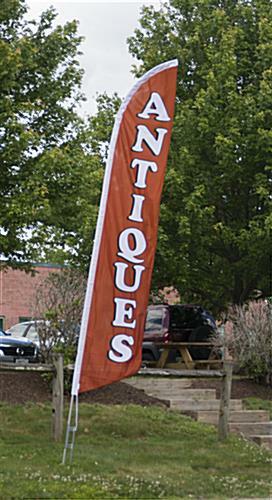 Place this polyester signage that is heavier than nylon and more durable outside of a vintage store, collectibles boutique, or traditional furniture showroom to advertise "Antiques". 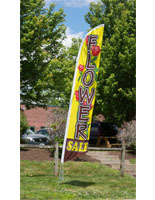 This swooper banner is an affordable way to boost sales instantly and increase customer traffic. 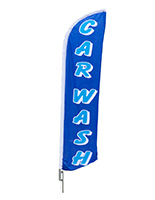 Standing 14' high, this two-sided display with custom printing and dye sublimation provides full visibility secured by a lightweight aluminum pole with a convenient steel ground spike. 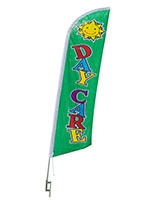 Buy this message flag, also known as a swooper banner, with looks good as new one sunny day after another because it's machine washable and fade resistant. 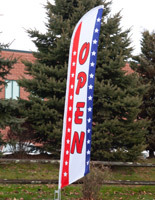 Great for retailers who sell military ensign, World War II memorabilia, and other antique collectibles and furnishings, this signage is affordable and effective. 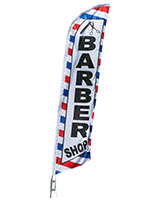 Buy this flag for casual and upscale showrooms that sell historic artifacts, antique furniture, and more. Please Note: String at bottom of banner is not for attachment purposes. 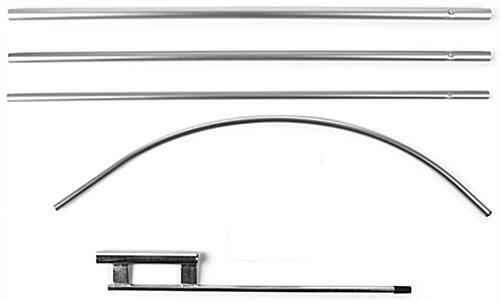 Pole is designed to keep banner in place. Attaching with string may tear fabric. Flags are not for use in winds exceeding 40 mph. 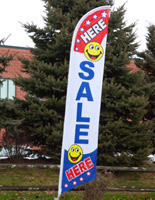 *This flag comes a 4-piece pole with top piece curved and dimples on each pole to lock poles in place. 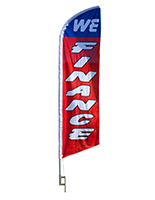 Please Note: This 14' banner does not include a custom nylon carrying case which is a contributing factor to the affordability.